Trying to put together a Wedding while coming out of a recession is more than just a task, it's an adventure! I'm coming through Weddingland and finding that the trail I have taken has decided to shift and take me up a tall hill. Meaning that my original plans and budget has totally shifted to almost take on a life of its own. Numbers have slowly increased, decorations are a lot easier to buy then DIY (we can contribute that to my laziness), and the little details seem to never stop appearing. But I've learned a couple of tricks that may help you diminish this growing monster that is cost, if you are also noticing that it's getting a little overwhelming. Stop.Look.Stop. - Stop what you’re doing and thinking and take a good look at everything in its current state. Then shut the shop down and figure out how to better manage the costs you have. 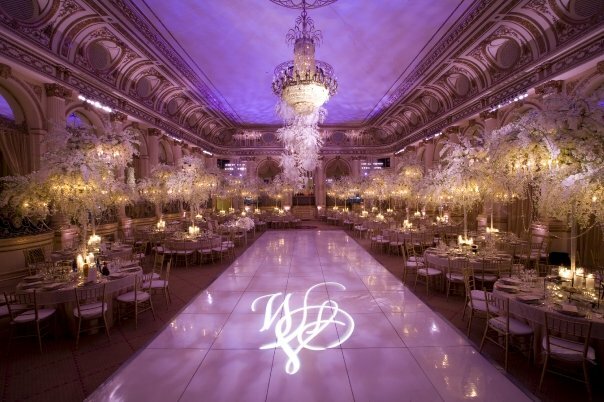 Cut off the guest list, stick with your current floral arrangement, and don't stress the details you can't get too. Believe me, you may worry about the "what ifs" but no one else attending will. Don't cause more stress then you need. 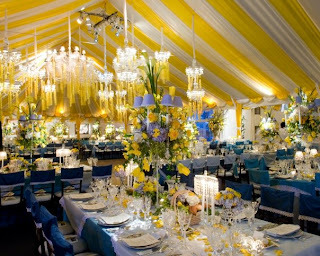 Utilize your wedding party - If you're lucky like I am, you have a group of people who are not only willing to help but who are dying to participate more in the process. You are only one person so figure out what other tasks you can delegate. Can someone go look at wedding party vehicles? 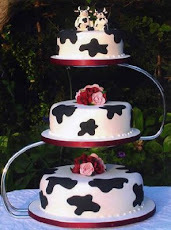 How about scouting out a bakery that they like for a cake? Does anyone work at a retailer where they can look for jewelry? Work smarter not harder and your party can definitely make you look like a genius. NO is not a bad word - Sometimes it's easier just to say "yes" so you don't have to worry about anything but usually that yes does cause more worries...money pains. Get a little tough, put your foot down, and say it loud and proud "No"! Now I will say you don't want to get on a Bridezilla tangent by yelling no every second to every person but be reasonable and stand strong. Reality check - Remember what the day is about and that it is just that...a day. It is one of the most important days of your life but that just means that life moves forward after it is all over. Your wedding will be beautiful, awesome, fun and every other adjective you want to use as long as you inspire it. No matter how big or small, cheap or expensive it may turn out to be, you and your mate are the keys to having the day you want. 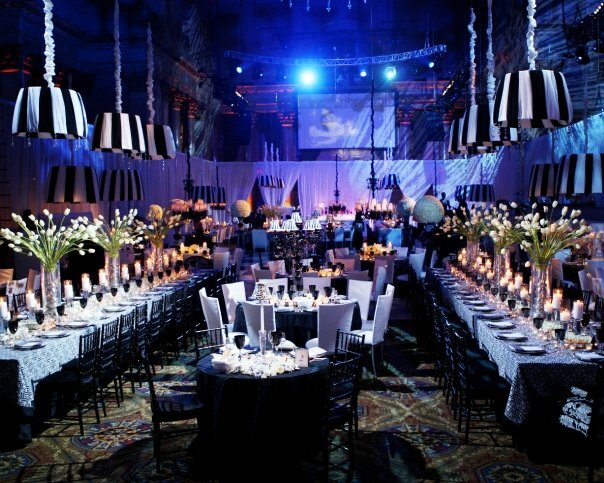 If you exude how you want the atmosphere to be like (romantic, fun, funny, elegant, etc.) your attendants will follow. So I have the luxury of having several friends and acquaintances that are going through the wedding planning process and the same topic seems to be the peak of our conversations…To DIY or not to DIY. If you look back at my April 11 post I talked about some questions to keep in mind when you are pondering the idea to DIYing anything. I am happy to say that I have answered those questions for myself and I think I’m down for cause! Now that I have the time and patience for it, I know in the long run not only will my budget be thankful but my mind will be at peace knowing that my invite is exactly what I wanted. So if you are thinking about trying some DIY tricks of your own check out these links. Thinking about taking your look into your own hands, you can find cost efficient and free wedding invitation templates from Download & Print. Don’t forget about the other details. 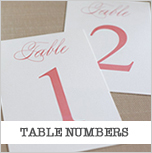 Find FREE wedding stationary like table numbers and menus at The Wedding Chicks. 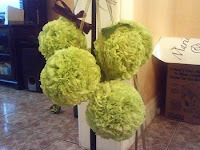 Want some budget saving pomanders? 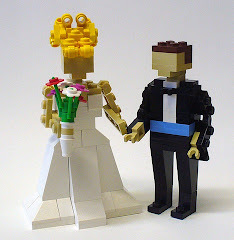 Make your own with Project Wedding. They look just like the real thing. Love candles? Make them the talk of each table at your reception. The Weddingbee will guide you! The web is your friend. Do you have any additional helpful websites? Feel free to share them here! Live long and prosper fellow DIYers! 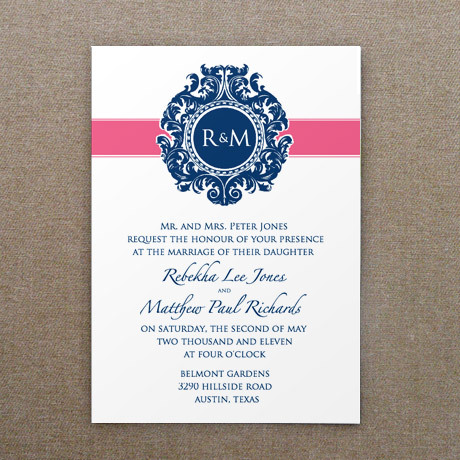 Task 52 out of 188: Work on invitation wording and figure out the design you want. There are so many details that come with wedding planning that they take Weddingland to another level. I’m not talking about what type of flowers for centerpieces or even what jewelry to wear…oh no! 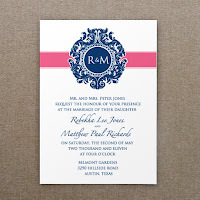 I’m talking about those details of how should you position the jewel or ribbon on your invitations or what texture of linen would go perfectly with a monogram. I never knew that there were so MANY tiny details, but many experts will tell you that those tiny details make your wedding more personal. For a person who only thought to focus on the big stuff (reception, cakes, theme, etc.) those more intricate details can be overwhelming at times. However, I am learning that the small details can really change the feel and value of your wedding. I’ve gone to several weddings in the past couple of months and I have definitely seen some amazing personal touches. Those small details can vary from a picture of the couple on each table, a handmade favor based solely on the theme or even a surprise performance as entertainment for guest. Even though choosing what small details to focus on may be some of the hardest choices in the wedding process it will definitely turn out to be some of your smartest choices. So the slacking bride blogger is back but let me say, I have some major reasons why I’ve been off my blogging game. And here are the reasons why: 1) Weddings, 2) Weddings and lastly, 3) Weddings! My schedule has been so action pack in planning and attending weddings that I haven’t been able to share my experiences but I definitely have some good advice about my intense adventures in Weddingland. So for today’s blog I want to discuss one aspect in the wedding planning process that has been surprisingly GREAT and simple (yes I said it “simple”). 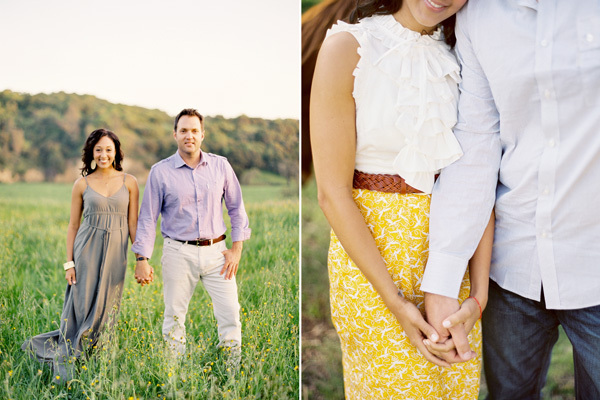 Engagement photo sessions have been a topic for discussion throughout the wedding world. Should you? Is it worth it? What’s the point? Well I can only give you my answers; Yes, Yes, and because you can! Engagement sessions should be used as a mini vacay from all the intense planning. You can dress how you want, go where you want, and just enjoy those moments with your boo. I can only speak to our engagement session but if you do decide to go that route, be sure that you remember that the shoot is about you and your soon-to-be spouse. Don’t go outside of your realm of style or even habits, like mean mugging instead of being your happy, go-lucky self. I actually took a step out of my usual routine and went to MAC and got my make-up done professionally. Let me tell you it looked good but after 80+ heat I figured out that it would have been best for me to do my own. The shoot started off a little rocky, seeing that me and my boo aren’t really high on PDA (public displays of affection) but our wonderful photographer helped to make us feel comfortable and made us laugh continuously. One of the most important components of the shoot is taking the opportunity to learn about your photographer. I highly suggest that whomever you choose to photograph your wedding should also shoot your engagement photos. This gives you a chance to learn how to communicate with your photographer, and it helps the photographer learn your quarks and habits. All in all, the 7 hour day was hot, full of outfit changes but all worth it. It felt good to be us and see it come out beautiful in the pictures. Now we can use those pictures for anything we want, a guestbook, home artwork, heck even Christmas cards (0k I may be pushing it with the cards but you get the point). 1. If you have a good photographer and a good package with an engagement session, be sure to do it! 2. Be you! Wear the clothes don’t let them wear you. Remember you and your honey are the important subjects in the picture, not your hair. 3. Use the images forever. Don’t just take them and let them sit on your hard drive. Make a movie, blow up a few, or just print them and frame them. 4. Build a comfort zone with your photographer. This is one of the most important moments and days in your life, you should trust all your vendors and especially your photographer. 5. Have fun!! My photographer suggested we go somewhere we had never been before and that turned out perfect! Go to places either you love or would just love to see. You Better Protect What is Yours! Scenario #1: You are wrapping up after dinner and you have started to put away food and wash dishes. So you lay your ring on the counter because you learned that washing dishes with it on can cause damage (two points for you). However, as you swiftly pull dishes in and out the sink, you are reluctant to notice that you have knocked your ring into the disposal, which has now stopped working since it was not made to grind up your wonderful priceless piece. What should you do? Scenario #2: You and your Fiancé have just returned home from grabbing some fast food when you both noticed the front door is unlocked and cracked opened slightly. You both storm in and find that several items have been stolen out of you house. And of course the ring that you sat on your night stand has also disappeared. How can you replace that? Scenario #3: You are digging through your purse in search of your lip gloss, which always hides in the very bottom, when you ring gets caught on a thread. Right as you are shaking your hand free, you noticed that one of your beautiful gems has fallen out. You dump your purse direly searching for your gorgeous gem but your search turns up unsuccessful! Can you just replace that jewel? And if so how? Each of these scenarios can be solved by taking out a policy on your ring(s). There are different ways to do so but first you must get the ring appraised. Know the value of your piece, even though it is truly priceless. You will gain piece of mind by protecting something you love. Whether you are renting or owning, it is safe to add your ring(s) to your policy. You may have to increase the value of the policy, more likely with renter’s insurance but better safe than sorry. The extension in policy is usually referred to as the “ring rider” policy, pretty self-explanatory huh?! The other option is to go through a jewelry insurance agency where you will need to start an individual policy. You will not be able to add this to your renter’s or homeowner’s insurance as it stands as a separate policy. Yes I know it becomes an additional bill, but again better safe than sorry. 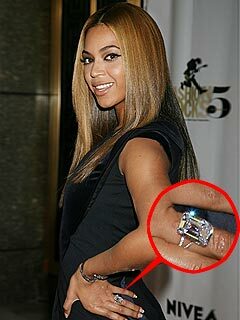 What if it's a vintage ring or other unique piece? How will the quality and size of your diamond and that of a replacement if needed -- be documented? I know I have been procrastinating about adding my ring to my policy but after a recent blunder, I am in the process of taking care of mine, so I advise that you better take care of yours! · An undeniable itch to keep looking for a dress even though you have the perfect one. · The “Quick Trigger” effect; you initially thought that one of the first dresses you tried on was the one so you purchased it but after a month or so you soon found out that it was not. 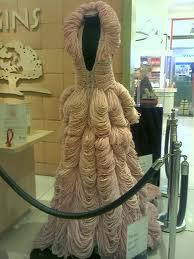 · Continuous eye moments towards wedding gown sale racks; no matter where your budget is at, they still look attractive. · And lastly, Buyer’s remorse; you know that you shouldn’t have but you did anyway! Again, I have yet to figure out where the actually root of the disease lies. Is it boredom? Perhaps it has to do with the uncontrollable need to be “perfect”? Or maybe it is just the sheer greediness of having more than another bride. 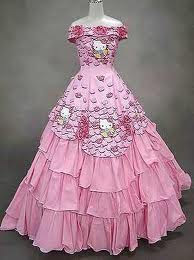 So here is the scenario, you go try on 20 to 30 dresses and you finally find the right one. You order it and they explain that it will take approximately six months to come in. Sure, no problem, you think to yourself. You have plenty of time, at least 10 months worth. So you’re waiting and waiting and you get the call in five months to pick up your dress, one month early, and you are excited to put it on. You and a few of your bridesmaids go and pick up the dress but before you leave the store you want to try it on again. First you notice that it’s not the color you originally order, it’s white instead of the Ivory, like the sample you tried on. No sweat, it still looks good right? 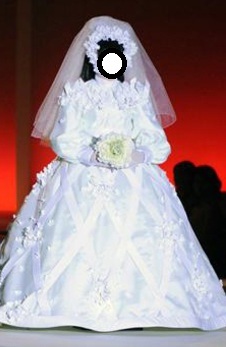 Then you go to put it on and certain features of the dress are missing; let’s say the corset is not in the dress and the sweetheart top now looks like a regular tube top. Now your mind is racing, your heart is about to jump out of your chest and your calm demeanor has now changed to an enraged, psychopath that is waiting to grab the brain right out of the next sales rep you see so that you can ask “What the hell happened”. This may seem like an extreme case, however, it is not! 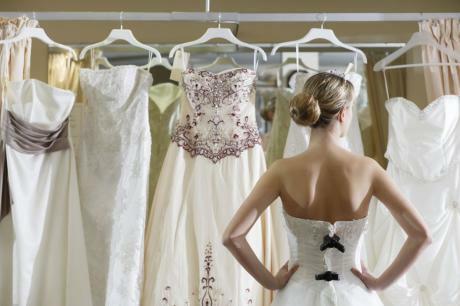 Just watch the show “Say Yes to the Dress” and you will see all sorts of dress mishaps! So…I had to deal with a situation like this, not as extreme, but my dress did not come back as the original dress that I ordered. There are some simple techniques that you can use to keep your stress low and to suppress that Bridezilla that can be found in all of us. Do not waste your time and breathe with speaking with a regular sales rep because that will only piss you off more. Take a deep breath, whoooo-sa and then find the manager. Explain what your issues are with the current dress and that you need things fixed a.s.a.p! Remember, you have paid so they will want to help but you have to play the cordial game to get the best service from anyone, no matter how at fault they may be. Now this technique is a little risky because usually the sample is not in the best shape, however, with alterations and minor tweaks it may work out in your favor. Again, go directly to a manager and tell them of your issues, then bring up this solution. 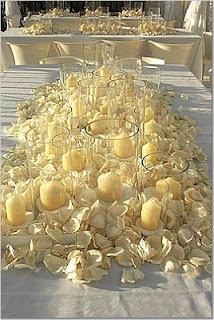 This solution is more for a flexible bride that maybe under a major time constraint. The idea is that sometimes stuff happens so we must follow the old adage to take a lemon and make lemonade instead of crying over the lemon someone gave you. This is the easiest and less stressful technique of them all! The idea is not to worry about the who, what, when, where or how, but to pass those questions right along to your planner. For reasons like this, you must make sure that you have a planner that you can fully trust. Instead of your nerves being bad, let them communicate the issues and find the solution for you. Now this may sound totally dumb to others but here is how I look at it. Yes, the stored jacked it up! Yes you paid for it already and your wedding is coming up. But you have to believe that you will look beautiful in anything close to the dress that you wanted. I would go score a deal with the store to do some major alterations, free of charge, and make that dress work no matter what. I understand that the dress is as important, if not more, than the reception and ceremony but what’s really more important is the fact that you are going to get married no matter what. Dress or no Dress! Details are very important, but the BIG picture is what drives all details so don’t lose sight of that. Details always change but as long as you come up with the same answer you wanted from the beginning, no matter if every detail was the total opposite of what you wanted, you will still come out on top!